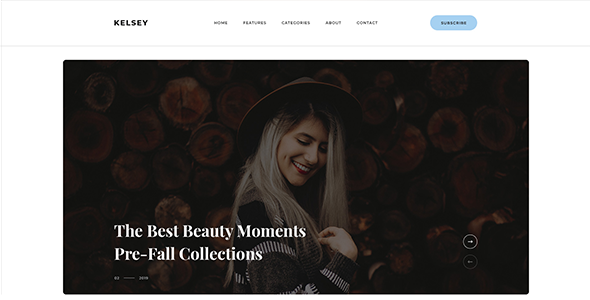 Kelsey is a clean, modern and Creative HTML Template blog template, dedicated to Lifestyle, Fashion, Beauty and Travel. 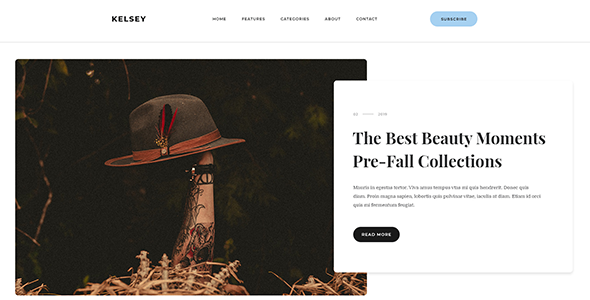 Created for those who want to promote most interesting media. 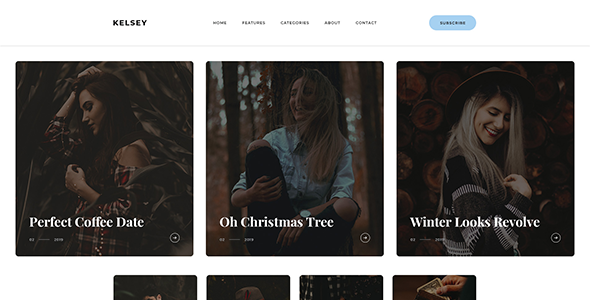 Kelsey include all popular features that will help you in your storytelling and present your content in a stylish manner. 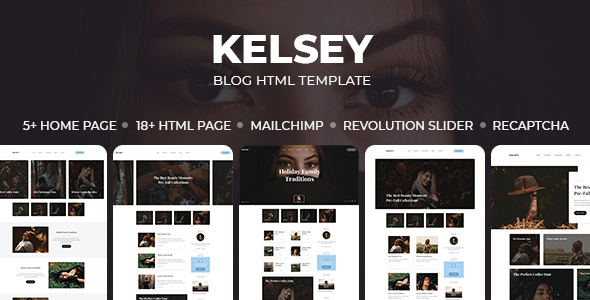 Kelsey HTML Template include 19 most required HTML files, it is well managed for developers who want to create blog website in any CMS or Framework. Well optimized on all browsers and mobile devices. Kelsey has all required pages for personal bogging website and well performed on GTMatrix, Pingdom and Google Page Speed. We are trying to give our customers fast and effective solutions for their blog websites. 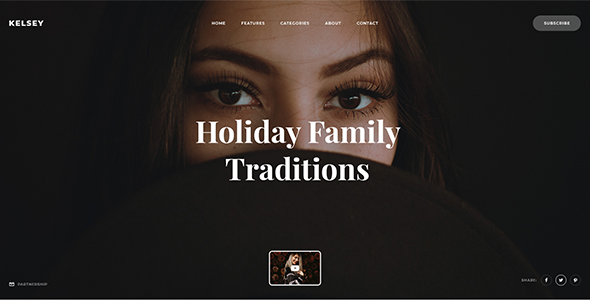 Template is created by Latest Bootstrap 4 and CSS3 with latest jQuery.